$100 REWARD CARD: Requires purchase of qualifying TV package (min. $35/mo. promo price after discount that starts w/i 3 bills & may req. AutoPay) through card fulfillment. Qualifying Packages: U-verse TV (U-Family or above). Select locations. For new residential customers. Residents of select multi-dwelling units are not eligible for this offer. Reward Card: Will be sent letter with redemption requirements. Redemption req’d. w/in 75 days from reward notification mail date. Reward Card delivered within 3-4 weeks after redemption to customers who maintain qualifying service from installation date and through reward fulfillment. Card expires at month-end 6 mos after issuance. No cash access. For cardholder agreement, go to rewardcenter.att.com/myrewardcard/agreement_FSV.pdf AT&T Reward Card issued by U.S. Bank National Association, pursuant to license from Visa U.S.A. Inc. May not be combined with other promotional offers on same services. Ends 6/30/18. Call today for the following deal and more! Call Now For Exclusive Offers! Up to 360 Channels and apps INCLUDED! Monthly equipment fees for an HD DVR PLUS GET HBO® and Cinemax® for 3 months at no extra cost After 3 mos., standard rate applies unless canceled by customer. NEW RESIDENTIAL CUSTOMERS ONLY. $35 ACTIVATION, EARLY TERMINATION FEE ($15/MO) FOR EACH MONTH REMAINING ON AGMT, EQUIPMENT NON-RETURN & ADD’L FEES APPLY. Price is after $5/mo. autopay/paperless bill discount for 12 mos. Pay $40/mo for U-family All Included; $60/mo for U-200 All Included; $65/mo for U-300 All Included; $115/mo for U450 All Included; mo. + taxes until discount starts w/in 3 bills. Restr’s apply. 1-YR ALL INCLUDED TV PACKAGE: Ends 7/31/18. $35/mo for U-family All Included; $55/mo for U200 All Included; $60/mo for U300 All Included; $110/mo for U450 All Included for first 12 mos. only. After 12 mos, then prevailing rate applies (currently $81/mo for U-family All Included; $102/mo for U-200 All Included; $119/mo for U-300 All Included; $147/mo for U450 All Included) unless cancelled or changed prior to end of promo period. Pricing subj to change. $5/mo. discount: Must enroll in autopay & paperless bill w/in 30 days of TV activation to receive bill credit starting in 1-3 bill cycles. First time credit will include all credits earned since meeting offer requirements. Must maintain autopay/paperless bill and valid email address to continue credits. Includes: All Included TV Pkg, HD service, equip fees for 1 HD DVR and standard pro installation. Exclusions: Price excludes applicable use tax expense surcharge on retail value of installation, custom installation, equip upgrades/add-ons (each add ’l receiver $10/mo) & other charges, including Broadcast Fee (up to $5.99/mo), a federal regulatory video cost recovery chrg and city video cost recovery fees. Credit restr’s apply. Different offers may apply for eligible multi-dwelling unit customers. Pricing, programming, features subj to change at any time without notice. Subject to AT&T U-verse TV Terms of Service (at att.com/legal). $100 REWARD CARD: Requires purchase of qualifying TV package (min. $35/mo. promo price after discount that starts w/i 3 bills & may req. AutoPay) through card fulfillment. Qualifying Packages: U-verse TV (U-Family or above). Select locations. For new residential customers. Residents of select multi-dwelling units are not eligible for this offer. Reward Card: Will be sent letter with redemption requirements. Redemption req’d. w/in 75 days from reward notification mail date. Reward Card delivered within 3-4 weeks after redemption to customers who maintain qualifying service from installation date and through reward fulfillment. Card expires at month-end 6 mos after issuance. No cash access. For cardholder agreement, go to rewardcenter.att.com/myrewa…. AT&T Reward Card issued by U.S. Bank National Association, pursuant to license from Visa U.S.A. Inc. May not be combined with other promotional offers on same services. Ends 6/30/18. 3 Mos. HBO® /Cinemax Offer: Ends 7/31/18. Customers not eligible for more than two HBO/Cinemax upgrade offers during any 12-month period. HBO®, Cinemax® and related channels and service marks are the property of Home Box Office Inc.
Offers may not be combined with other promotional offers on the same services and may be modified or discontinued at any time without notice. Other conditions may apply to all offers. If you have ever had to make the tough decision to watch one favorite show over another playing at the same time, then AT&T has a solution for you. Sure you can record a show and watch it later, but why take up space on your DVR when you can watch up to four shows at once with U-verse MultiView? You’ll be able to choose any four channels to watch and enjoy them all on your screen at the same time. The AT&T U-verse TV guide makes searching for what to watch much easier. With an on-screen guide, you get picture-in-picture channel browsing which allows you to watch one program while channel surfing for whatever else is on TV. You can even view the programming schedule on any channel up to 14 days out. With the on-screen guide, you can also search for your favorite show, movie, episode or series by title or actor, then set your U-verse DVR to record it. 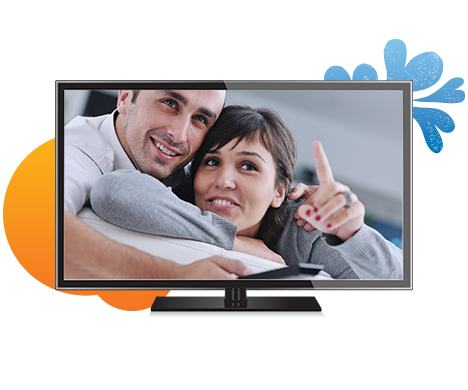 All AT&T U-Verse TV plans include HD channels with additional channels that can be added at your discretion. You’ll have access to more than 205 HD channels. You’ll be able to enjoy crisp picture quality with superb digital sound. 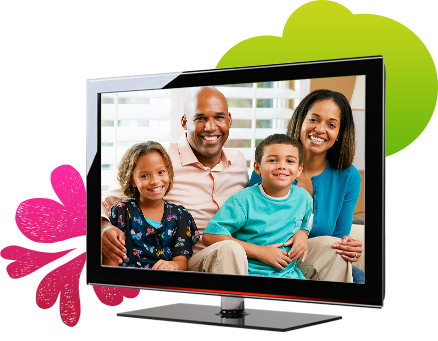 AT&T digital TV packages offer multiple AT&T U-verse channels that boast a large lineup of On Demand shows for the whole family. Sports fanatics can watch all the big games and follow their favorite players with a complete sports line up available on many AT&T TV packages. 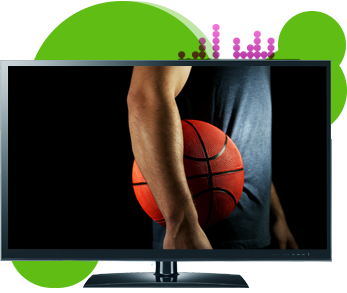 Enjoy up to 20 channels with a wide range of exciting sporting programs. CBS Sports Network, Fox College Sports, and Fox Deportes are just some of the channels you can add to create a sporting experience like none other. The AT&T TV guide makes searching for what to watch much easier. With an on-screen guide, you get picture-in-picture channel browsing which allows you to watch one program while channel surfing for whatever else is on TV. You can even view the programming schedule on any channel up to 14 days out. With the on-screen guide, you can also search for your favorite show, movie, episode or series by title or actor, then set your DVR to record it. What is U-Verse on Demand? On Demand is a feature that allows you to watch thousands of movies and TV shows in HD or SD (Standard Definition) any time. Access features like U-Verse Movies, On Demand and PPV. Call to find out how to order U-Verse Pay Per View. AT&T gives you even more options for equipment that make your home entertainment even better. With an AT&T wireless receiver you can put your TV nearly anywhere you want, no matter where your outlets are located. You’ll get the best performance possible with the help of the signal strength indicator. It identifies the optimal location to position your receiver. You’ll be able to stream SD and HD programming and get access to features like the Channel Guide and MultiView. The installation is quick and simple. Once installed it will function like any other receiver allowing you to access On Demand, your recorded programs, and much more. Call to order your U-verse wireless receiver today. Easy Remote – Use an iPad or iPhone as a remote control by downloading this app and get access to many of the same functionalities that the U-verse TV remote provides. Mobile Device App – As a subscriber, view top programming from your tablet or smartphone with this app. Scroll through the TV Guide, manage DVR settings, and more. Tablet Device App – Manage TV schedules and watch programs on a tablet. Jukebox – Play and listen to your favorite songs on your TV from your mobile device. To add to your fun, invite up to five friends to add songs to a playlist. What is AT&T U-verse TV? U-verse TV is television without boundaries. 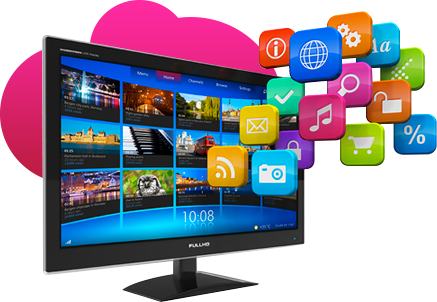 Providing clear, digital picture and sound quality there are over 510 channels with the latest TV shows, movies and sports all delivered on an advanced fiber optic network. The fiber optic technology AT&T uses allows your TV to integrate other services like AT&T U-verse internet and the digital phone for a superior entertainment experience. With AT&T TV service your entertainment is better - better DVR, better high definition, better features, and better AT&T U-verse bundles. You already know about the ability to record four shows at once, pause and watch shows in any room, and move your TV wherever you want with the wireless receiver. Still not convinced? 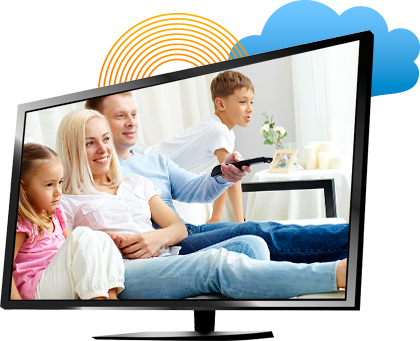 Additionally, get the best TV offers with AT&T U-verse TV deals by bundling with other U-verse services such as high speed Internet home phone, and wireless phone service. So why not bundle, save money, receive one convenient bill, and get more features from each service by taking advantage of these irresistible deals. Call today to check U-verse TV availability in your area.